Would You Like to Create First Class Knives Under Your Name? 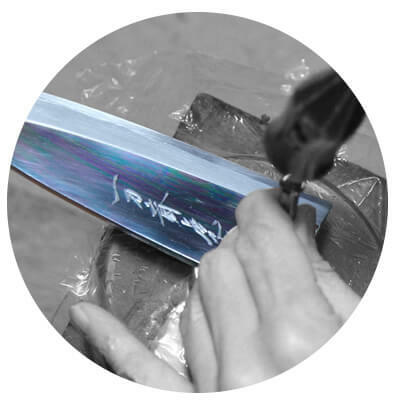 At Takahashikusu, we produce Japanese and Western knives under the trademarks of our customers. 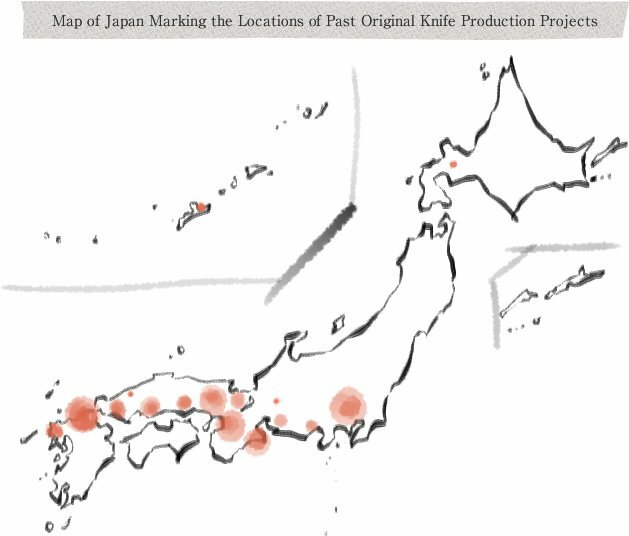 Takahashikusu makes Japanese knives under the customer’s trademarks according to their budget and demands. You will be able to create original knives by choosing various items such as the type of steel material, edge and handle, so please feel free to consult us. Also, since we are doing business with Western knife makers in Seki, Takefu and Tsubamesanjo, which are famous for making Western knives, we can produce Western knives too. Please fill out the inquiry form with the content of your consultation. We will confer about the details with our customers by phone, by email or in person depending on the circumstances. We will provide a quote based on your demands. After the details are confirmed, the agreement is finalized. Since the delivery time differs according to the product, please check it when finalizing the agreement. Many of our products are sold in urban areas. Takahashikusu distributes knives to market cutlers, hardware stores and retailers in urban areas, and kitchenware shops. About how much would it cost? Since there is a wide range of choices, it will differ case by case. We will provide the price during our business negotiations. How long will it take for the products to be delivered? Since Japanese knives are made by hand, we can only give a rough delivery time. Please understand that we are not able to give an exact delivery date. What steel materials do you have available to make knives? Do you only make Japanese knives? No, we also have Western knives, scissors, nail clippers and bone tweezers. It is possible to make Western knives under your trademark too. We don’t have a registered trademark. Would that be a problem? Our company owns several trademarks, so you can use one of them. Do you sell your products to general consumers?